Businesses require adequate marketing strategies that can work well for taking their products or services to the masses. Logo of a company is one of the most crucial tool to market a business since the emblem is seen everywhere on products and advertisements. For the marketing strategies to be successful, design of a company’s logo must be memorable. Here are some great points about the importance of memorable logos. A memorable logo design is the one that lingers in the minds of the viewers for a long time. 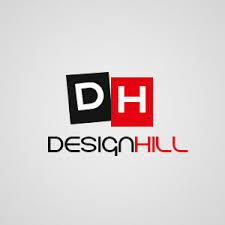 A logo with near-perfect memorable design helps in building a brand image of the company as the viewers can immediately recall a business when they see a logo of the company. If the logo design is confusing and complicated, the viewers will forget it which means that they will not be keeping the business in mind. One of the key elements to create memorable logos is to keep the design as simple as it can possibly be and yet it should be appropriate. It may surprise many but subject matter of a logo is not of that importance as some may think. Expert designers are also of the opinion that even appropriateness of consent is not that crucial always in designing memorable logos. Though appropriateness is desirable but it should not be over emphasized. What this means is that it is not always possible to achieve a strong relationship between a symbol and what it actually symbolizes. Sometimes even this relationship is objectionable. Therefore, majority of logo design experts lay emphasis on creating a distinctive, memorable and clear logo that viewers can remember easily. So, what is your take on this issue. Do you also believe that a memorable logo design is more important than other things in a logo? What are your thoughts on role played by memorable logo in a business.